Given the SEO fallout around web directories of the past, there is a lot of confusion (and perhaps fear) around the use and effectiveness of local business directories, and rightfully so. They were known – once upon a time – as “link directories,” and auto-submitting your URL to hundreds of them for about the price of a bowl of poutine was pretty common. The majority of SEOs who pushed these practices weren’t interested so much in reaching customers through the business directories themselves, but in the back-links they created. It was no surprise, then, that Google and the other search engines stopped paying attention to them or algorithmically penalized their use all together. As an SEO tactic, local citations have little or no value. But, does that mean you should ignore them altogether? While it’s true that Google and the other search engines generally ignore links from local directories to your website, that doesn’t tell the whole story. For one thing, there are still a handful of directories – like the BBB, Yellow Pages, Angie’s List, HotFrog, Yelp, Google My Business, and others – that customers like and use all the time. That would make them worthwhile on their own, but it’s also true that Google does pay some attention to these listings. They aren’t going to make or break your link optimization campaigns, but they can help you improve your local pack positioning. And, as we’ve recently pointed out, that’s a growing factor in your local search marketing strategy. So, while there isn’t any gain in spamming dozens or hundreds of directory sites at the same time, there are reasons to make sure your company is well-represented on the biggest platforms. By simply having your business name, address, and phone number (NAP) displayed correctly and consistently, you can do a lot to improve your public profile with buyers who are close to home. Services like WhiteSpark and BrightLocal lead the way for citation creation at a very reasonable fee. It doesn’t take much, and can help you ensure you show up in all the right places. Although business owners and marketers aren’t aware of this, there are more than 100 quality online directories across North America. The way to get maximum value from your local citations is making sure that your listings are consistent across all of them. In each case, incorrect or incomplete information sends mixed signals to Google (not to mention real-life customers). In order for search engines to be able to verify you, and your location, the corroborating data they have needs to be 100% accurate and consistent. Make sure your Name, Address, Phone (NAP) are accurate. Tip: match the post office address for your location. Of course, where there is any shred of value, there is also going to be someone trying to game the system. So, before we go any further I want to point out that local citations only help you in areas where your business has a physical presence. Trying to set up citations for places where you don’t actually have an office or facility is unethical, and isn’t likely to do you any good. And, the good people at WhiteSpark and BrightLocal won’t take your business unless it's legit. If anything, setting up false profiles is likely to throw off your real results rather than give you more exposure in different geographical areas. And of course, Google and the other search engines are apt to penalize your website if it looks like you are trying to fool them into thinking your business is somewhere other than its actual location. Even if you get inbound links from the directory sites, they aren’t likely going to help you improve your visibility in search results. Instead, they give you another way to reach customers and make it easy to ensure your local contact information shows up correctly in all the right places. It’s not an SEO shortcut, but just one more small – and important – piece of your inbound lead generation strategy. Interested in setting up local citations for your local business? 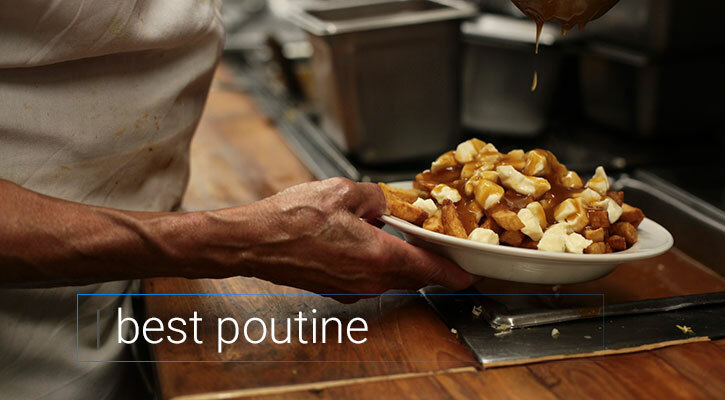 We can help you with that (right after I check with Google on where I can get my hands on some Poutine, of course).